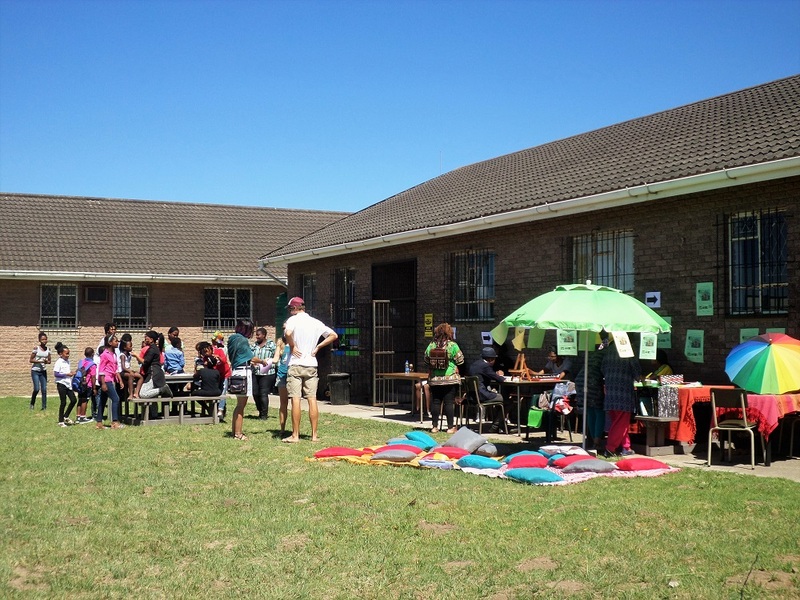 Our base is at the Joza Youth Hub (JYH), a community center in the Joza Township which is located in Grahamstown, South Africa. We are one of many local NGOs in the educational sector that reach out from here. It is a wonderful place for teaching, hands-on experiences and collaborations. We train in the communal computer lab as well as various other places for the offline part of our awarenet projects. For the project work, we like to collaborate with partners in and outside the hub (music, journalism, health and social engagement). Additionally, we visit the surrounding schools and train learners in their own computer labs. In the afternoon, the JYH is buzzing with learners, who participate in our awarenet program or work with the other NGOs. The learners love to spend their afternoons at the hub, surrounded by their friends and a lot of creativity. The hub offers them a real alternative to spending the afternoon in the streets. At the Youth Hub we are not alone however, we have quite a few partner organizations working with us. There is the Access Music Project which is offering free music education to the local youth. Upstart! is another partner here at the Youth Hub, they are a journalism project aimed at giving the local youth a voice to express their opinions and concerns. Younger children can lend out toys at the Toy Library which is run by the Centre of Social Development of Rhodes University and when they are done with the toys they can become part of the Joza Reading Club and/or the Joza Chess Club, they are run by Esther Ramani and Michael Joseph respectively. Then there also is Rhodes University Community Engagement or RUCE who are supporting the whole JYH-Community by offering accounting services and much more for free, thereby guaranteeing the existence of the Youth Hub in short-and midterm.